"Most things remain undone. Glorious future!" IKEA is a company you both love and hate. You love the low prices and you hate the large stores where you have to spend hours wandering through the labyrinth. You love the flat packages and you hate when a piece of the furniture is missing from the package. Today IKEA has 267 stores in 25 countries. Here are some lessons we can learn from the early days of IKEA when the company was a startup and from the Swedish-born founder Ingvar Kamprad when he was a young entrepreneur. 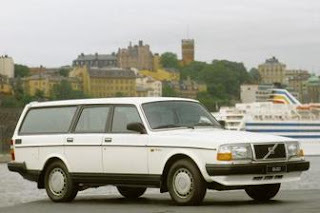 IKEA (Ingvar Kamprad Elmtaryd Agunnaryd) was not the first startup founded by Ingvar Kamprad. Like many other famous entrepreneurs - like Warren Buffett - Ingvar Kamprad was young (only five years old) when he founded his first startup. He asked his aunt when she visited the Swedish capital Stockholm if she could buy 100 boxes of matches for 0.88 SEK a piece and bring them back to Ingvar Kamprad. He later sold these matches for a profit of 0.01 to 0.05 SEK a piece. Ingvar Kamprad would later sell Christmas cards, fish he had caught himself, berries he had collected himself, and taking care of the animals at the farm. Ingvar Kamprad owns a Volvo 240 GL from 1993. I'm not sure if he is still driving it since he is a little bit old by now, but he drove the car when he was worth $28 billion. But when he was younger, he used to drive a Porsche. The reason to why he bought the Porsche was that he thought he had lost too much of his youth while building the company. His friends went out drinking beer when he stayed home building IKEA - so he wanted to compensate. He is today famous for visiting the local market when it is about to close down for the day and ask if he can get a discount. "People say I am cheap, and I don't mind if they do. How the h*ll can I tell people who work for me to travel cheaply when I travel in luxury? It’s a question of good leadership." During his younger years, Ingvar Kamprad borrowed money from other people for the first and last time. He borrowed 500 SEK to purchase fountain pens from Paris and 90 SEK for unexpected expenses. He later said, with a humoristic tone, how he preferred being accused of murder before being accused of borrowing money. Ingvar Kamprad, who until 1948 only sold smaller products such as pens, wallets, and watches, founded IKEA to compete with the largest competitors who also sold furniture through the post office. He re-named the products from numbers to real names, such as Rut, so he could remember them. 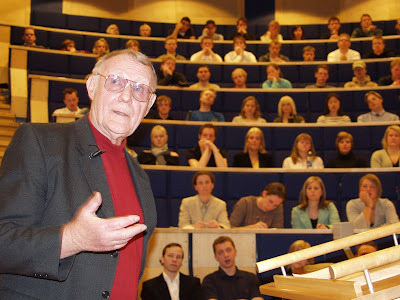 The reason to why IKEA today has physical stores is because Ingvar Kamprad wanted his customers to visit the store to try out the quality of the furniture and compare different price levels. This is similar to the findings from the book Good to Great by Jim Collins. The book says that you should focus on one thing only - the thing you can be the best in the world at - if you want to build a great company. IKEA used to be a mail order company that sold pens, watches, Christmas cards, furniture, and many other products. In 1952, Ingvar Kamprad decided that IKEA should focus on only furniture and interior decoration. IKEA re-focused again in the 1960s when they realized the main focus should be to sell furniture through large physical stores - not through mail order as it used to be. IKEA doesn't sell food at their stores to make money. The reason to why you can buy food at a heavy discounted price is that you will probably spend more money on the furniture and buy more products if you are not hungry and want to rush home for dinner. In the beginning, when IKEA wanted to enter a new country, they opened a smaller store in the city-center to feel the market and test the customers. If the smaller store worked as expected, they opened a larger store outside of the city. 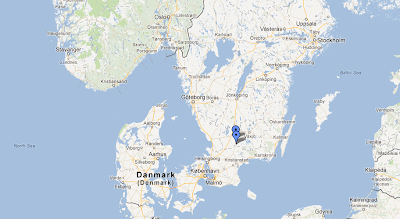 IKEA was founded in the southern parts of Sweden in a farm called Elmtaryd. The main office would later move to Älmhult - a very small town. 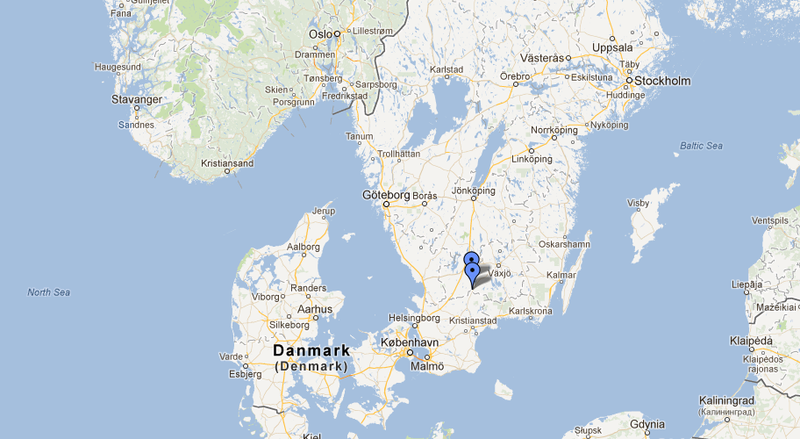 The population of Älmhult is currently 9,000 people. "The life at Elmtaryd consisted of work, a massive amount of work. We had dinner at 18, the phones closed at 19, and you could not call out or get a call from the outside. Then you continued to work as long as you could because you didn't have anything else to do. The nearest town was miles away, the bus didn't go at this time in the evening, and no-one had a car. On Sundays, we went fishing..."
"We used to start early - sometimes at 06:00. If someone arrived later, we used to say: 'Oh, did you spend time reading the newspaper?'" "I lived with IKEA day and night, it was my life, and now when I'm old, I have to pay the price - but it was worth it. The most important thing was to have fun." "Only those who are asleep make no mistakes. There are few people who have made so many fiascos in my life as I have." Sweden was a neutral country in Europe during the Second World War, so after the war ended, all of the manufacturing industry in the country remained intact. Most industrial buildings in Europe had during the war been bombed beyond recognition. The result was that Sweden became a richer country and 1 million new apartments were built over a period of 20 years. Guess who sold the furniture to these apartments? IKEA hired a consultant in the 1960s to help them improve the company. The consultant arrived and said after the first day that if someone had asked him if IKEA could make money from such a small place as Älmhult (see the map above), the consultant would have said: "No! That will never work." But since IKEA now is making money, the consultant explained how his models are wrong and he will now return home again since he didn't have any knowledge to give back to IKEA. The decision to buy furniture from suppliers in Poland was a wild idea. Poland was a communist country and a member of the Soviet Union (this was in the middle of the Cold War). Sweden was a neutral country, but each move made by Ingvar Kamprad in Poland was tracked by the Polish security police. In the beginning, the people from IKEA couldn't leave the capital Warszawa because of restrictions, and they had to smuggle spare parts from Sweden to the manufacturing machines in Poland. The sawing machines often broke down due to the bullets stuck in the wood as a result of the fighting during the Second World War. Poland is today among the largest of the suppliers. IKEA is not a public company and Ingvar Kamprad has always been scared of modern capitalism. He believes modern capitalism is too short-term and it's too hard to build closely related relations with key suppliers if you think short-term. If you are a public company, the shareholders force you to grow profits and expand despite a recession. The growth of IKEA has been slower compared with if IKEA had been a public company, but IKEA can't grow fast. One employee said: "We can't just ride on the autobahn and find suitable places where we can build IKEA-stores." 50 percent of the resources available will always improve the existing IKEA and 50 percent will always finance the future IKEA. When IKEA opened the first stores in the US, the managers said: "No public company in the US would have ever accepted the slow growth IKEA showed in the beginning. But since IKEA believes in the long-term and patience, we could create a new foundation for survival. But we needed every day of the time we had." The US is now the second largest market with 37 stores - behind Germany with 44 stores. The customers liked the beds, but couldn't figure out the meaning of 160 cm. "What's a cm? And why doesn't IKEA have a king-size-bed?"